A large fish passes silently by, just past my feet. I can see quite clearly its dark gun metal grey form. Its dorsal fin springs up as it manoeuvres through the water, tipped with distinctive reds and magentas. I stay as still as I can and just observe this beautiful creature going about its daily business in this, its watery home. There are few sights quite as breathtaking as seeing a large grayling glide gracefully through gin clear water. When wading, they will come remarkably close, providing you make no sudden movements. On this occasion I was fishing the upper Wye Valley. I was fortunate enough to watch numerous grayling swim within just inches of me, whilst I watched like a young boy on Christmas morning, confronted by a pile of presents under a glittering Christmas tree. These are those rare occasions when the true essence of nature comes to the fore. The wild fish, behaving quite naturally in its home, undisturbed, even by the angler. Wonderful stuff. 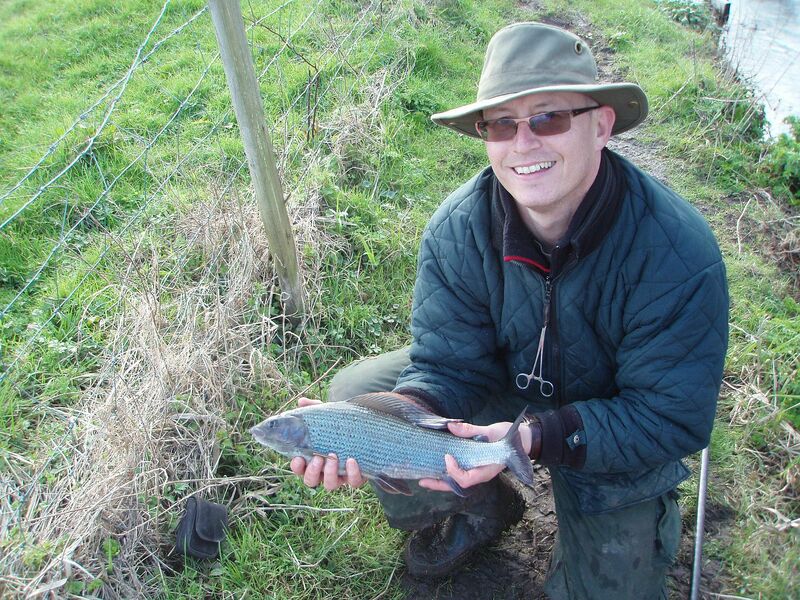 I first started fishing for grayling on the Upper Medway. The river here is narrow and winding. Steep banks covered in thick foliage make for tricky access. However with perseverance and on occasion the agility of a mountain goat, fishing is possible. Of course the river is fast and shallow with deep runs, as you would expect from an upper beat. There are a few deeper glides and pools interspersed with rapids. The odd patch of weed can be seen in the shallow stretches. 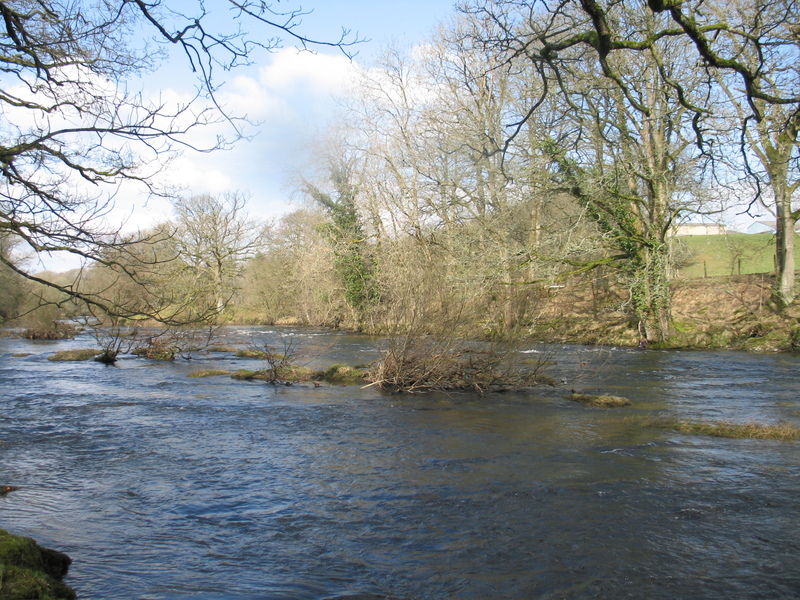 The river has good visibility here, however it is not clear but certainly not as muddy as it can be lower down. I can remember well my pal Vic taking me here for the first time, to try and catch me a grayling. 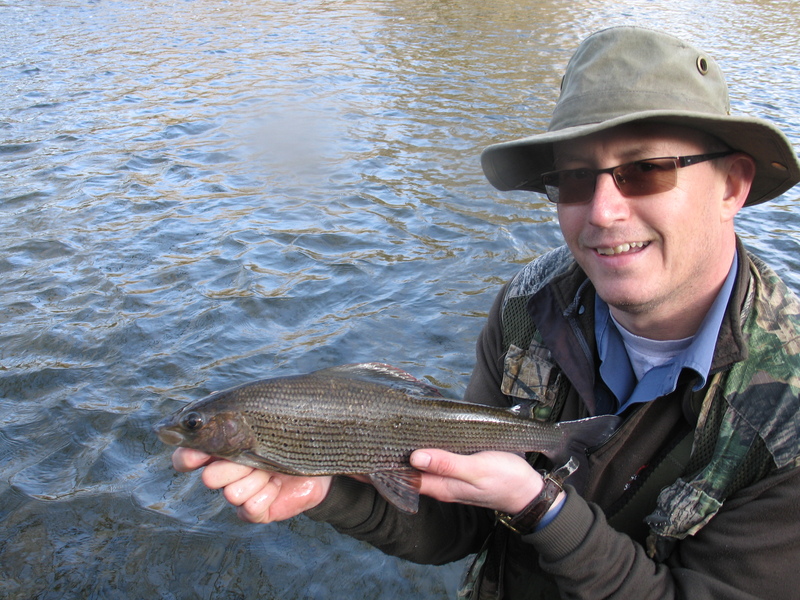 With his guidance I succeeded and so began a love affair with the grayling. I spent numerous days up here cutting my teeth, so to speak, trying to catch these stunning fish. Often I would use large chubber floats, bulk shotted and fish maggots on a size 14 hook. Why? 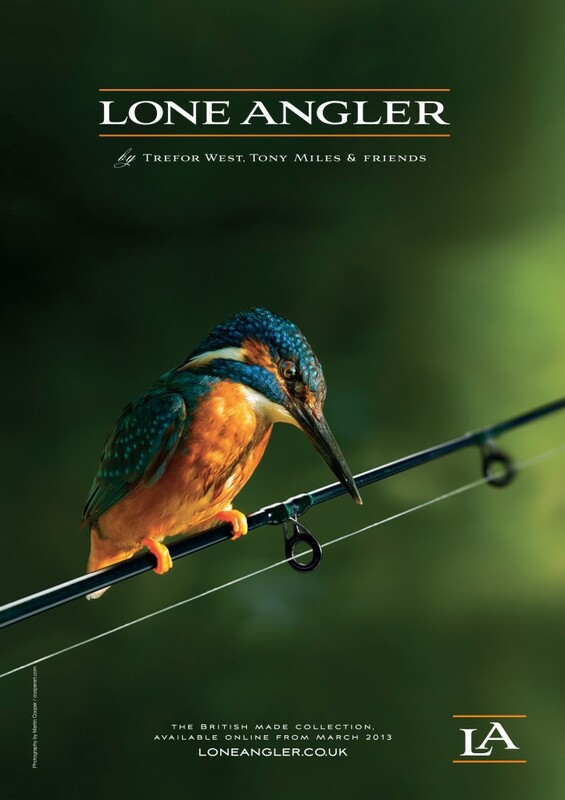 Well, I had seen John Wilson do it countless times in his inspiring series ‘Go Fishing’. So if it was good enough for him, it was certainly good enough for me. I later discovered just how tricky grayling can be, particularly at spawning times, when they won’t touch a bait on this type of heavy, clumsy tackle! I caught lots of grayling from the upper Medway and spent many an enjoyable hour in pursuit of my quarry here. It’s set in beautiful unspoilt countryside, where peace and quiet mixes harmoniously with bird song. It’s something you can’t get bored of. I would often catch grayling in the 2-8oz bracket, but just occasionally pick up the odd bigger fish to just over a pound. As much as I enjoyed it there, the lure of bigger fish eventually pulled me away. I had read about a couple of venues on 2 different chalk streams. One was on the River Itchen near Southampton and the other was the Test at Timsbury. These were to be my next port of call. I had heard stories of not only an abundance of 1lb+ grayling but of 2 pounders and even ‘threes’! Oh boy was I in for a real treat. 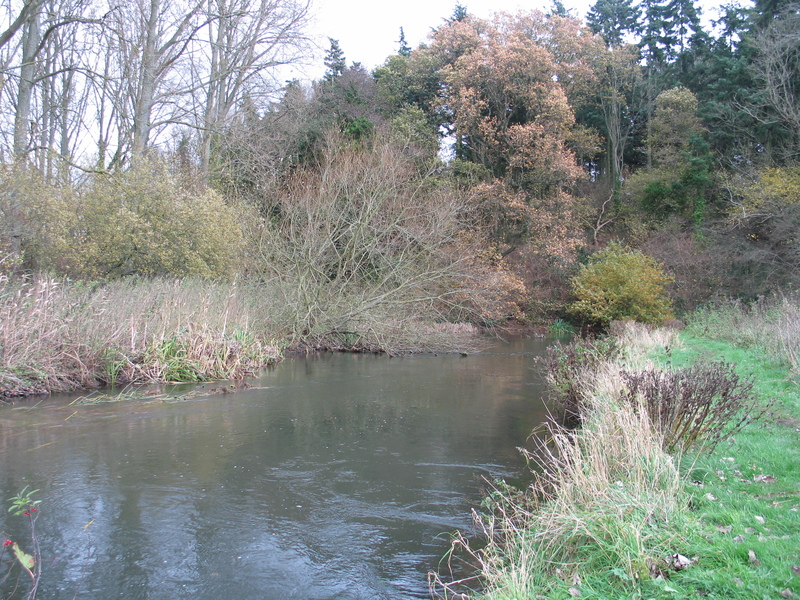 The Itchen and Test are synonymous with chalk stream game fishing. They happen to be two of the most beautiful rivers I have fished. Both are gin clear, as all chalk streams are (well with the exception of the Kennet, but that’s another story) and they are full of thick flowing ranunculus in the summer months. They are both reasonably fast flowing. 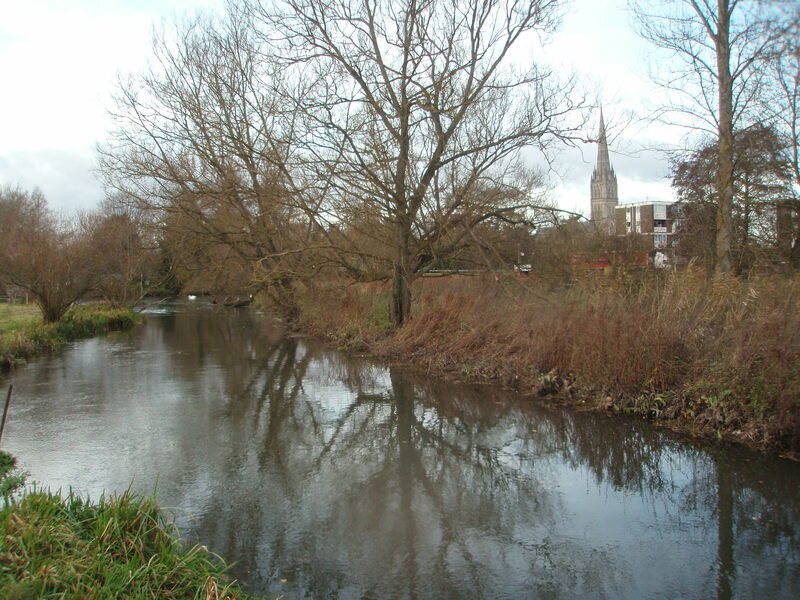 In the case of the Itchen, much of the river is a mixture of bends, fast shallow runs and some deep pools. The Test at Timsbury is wide and fairly straight, but a little slower flowing. The Test has the added advantage of having a couple of carriers available to the day ticket angler. One is shallow and fast and full of grayling, the other deeper and slower and more suited to roach. My grayling fishing was now mainly focused on these two rivers, but in particular the Itchen. Out of the 2, this to me was the far more exciting to fish. The Lower Itchen Fishery offers around 2 miles or so of fishing on a day ticket basis. Access is restricted in certain areas though, with some beats remaining ‘fly only’ to season ticket holders. However there is still plenty of river left for the mobile angler armed with a net, rod and small bag. Over a period of time I have slowly refined my setup for grayling. As I said earlier, in my early days I would use a large chubber float, sometimes as heavy as 5 ssg’s. Mainline was generally around the 3-4lb mark with a lower breaking strain hooklink. Hooks often were 14-18, both barbed and barbless. However I had noticed on occasions that I was catching less than some of the other guys, despite my setup being similar and I was fishing more or less the same type of swims. So I decided to scale down slightly, going to a 2 or 3 swan shot float, which helped. On a particularly difficult day towards the end of the season one year, I discovered just how delicate grayling can be. Having spent the morning fishing a 3 swan shot float, I found the fishing slow going. I had managed a few bites and pretty much bumped all of the fish off. On stopping for a chat with a fellow angler who was catching steadily, he remarked that my float was too big. I took on board his comments but decided to stick with my method. I moved onto a lovely long straight, where a friend was fishing and catching some good fish. I struggled to get a bite. After half an hour of this I knew something was seriously wrong and felt it had to be the float. I changed the float for a 2AA Avon. The result was as dramatic as it was instant. First trot through and I had a bite, followed by the next few trots through all producing bites. However I now had a further problem. All of the fish were coming off. One after another would come off at varying stages of the fight, some immediately and others after a minute or so of playing. All accept one which was just under 2 pounds. Some of these fish felt very big indeed. Since then I have tried to balance the float with the conditions much more. Where possible I will use a light stick or Avon float, down to 3BB. The conditions have to be right though. The added benefit with a shouldered stick float or an Avon, is the ability to hold the float back, without it riding too high in the water. Often holding back the float quite hard through the run, can illicit instant bites. This will often produce bites when allowing the float to run through the swim unhindered, fails to produce any interest. Don’t be afraid to let the bait flutter right up in the water, or to fish in fairly shallow water. Just make sure that the dropper shot is 8-10 inches away from the hook, to allow the flutter effect. I came to the conclusion that the reason for losing so many fish was due to the rod. It was a 15 foot trotting rod made by Greys. Firstly I felt it was quite heavy and secondly, and more importantly, it was too stiff. This was, I felt, causing the hook pulls. So I vowed to replace the rod for the following winter and see whether that would make a difference. Still despite this set back an important lesson had been learned. The weight of the float greatly affects the baits behaviour in the water and therefore how the grayling take the bait. I’m certain that most of the time the fish will still accept a bait fished in this heavy manner. However as we approach the end of the traditional closed season, the grayling are preparing to spawn and are even more delicate than normal. Therefore getting the right presentation becomes vital. Because of the nature of a fighting grayling (they twist and turn constantly during the fight) it is inevitable that fish will be lost. Some people say that a barbless hook penetrates better due to its lack of a barb and therefore has a better chance of staying in. Well the jury’s out on that one as far as I’m concerned. I have used both barbed and barbless and altered hook sizes and patterns and have, as yet, not been able to identify conclusively which is better. I think it often depends on the day and how the fish are feeding. Ultimately you are going to loose a few fish. It’s up to you to decide whether you feel you are loosing more than you should and refine your setup accordingly. Anyway by now I had managed some really good specimen grayling. In the early days of fishing the LIF at Eastleigh, I would regularly catch big grayling of 1½lb or more. 2lb fish would be caught on most occasions. I was very lucky on one trip to take numerous big grayling up to my current PB of 2lb 11oz. It was a magnificent fish and whilst I was playing it I was convinced it was a ‘three’. Sadly today, the fishing here is not of the same quality. The bigger specimens are much more elusive, with one 2lb fish being the highlight of the day when 20+ anglers are fishing. Most of the fish these days seem to be 4-12oz. Grayling are very delicate fish and I think as these venues became more and more popular, the grayling suffer as a direct result of that angling pressure. Anyway back to the float rod dilemma. I had decided to change it for a much lighter match rod and opted for a Daiwa SR3 13 foot rod. This definitely helped. I lost fewer fish, even late season, although bumping fish off still remained a problem. Just recently I decided to go one step further and buy a rod designed for silver fish. I opted for the Drennan Matchpro Ultralight 14 foot. Now this has helped even more. The soft top really does help cushion the lunges, twists and turns that a hooked grayling does during its gyrating fight. It is also perfect for setting the hook at distance, as its line pick up is quite simply excellent. After catching numerous good grayling at these venues I decided to try the Hampshire Avon. We fished the famous Britford stretch which is overlooked by the magnificent Salisbury cathedral. Here the old river is diverted off using sluices. Often in the winter, the main body of water is pushed through the old river to avoid flooding the main carrier and therefore protecting the roach stocks that Britford is so famous for. Unfortunately this makes Britford a tough venue, as often the old river is carrying a lot of extra water. However when the levels are good, it can be very productive. It certainly contains a good head of decent grayling and there is always a chance of a bonus big dace. 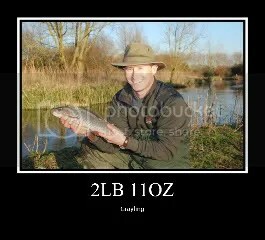 During my visits to Britford I have managed to take grayling up to 2lb 6oz. I have also fished the upper Avon above Salisbury. Here the river is narrower and around 2-4 feet in depth. The fishing here can be quite prolific, with bags of up to 60 grayling possible. The fish are generally around 4-12oz but with plenty of bigger fish up to 1½lb. We have lost bigger fish here. I once lost a fish almost at the net that looked all of 2lbs, but fish of that size are a rarity. Due to the declining fishing in Hampshire we have also dabbled with the upper Kennet. 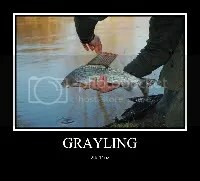 However we haven’t had enough experience yet to give any sort of summary on the grayling fishing here. In the meantime we have looked even further afield. are exquisite rivers to fish. Gin clear with a mixture of gravel and bedrock bottoms. Wading is a necessity here. Often the deep runs are well over half way out and can only be accessed by wearing chest waders. Make sure that if you are wading on bedrock that you use felt soles with studs. Bedrock is extremely slippery, so be warned. For gravel, standard soles are fine. We have discovered some of the best looking grayling swims yet on these rivers. They scream grayling. Although we have fished this region at various times, both conditions and the grayling getting ready to spawn have caused us difficulties. But now for a word of warning! Grayling start to shoal up in late January/early February ready to spawn. This can leave large sections of the river literally devoid of fish. If you can find the shoals then obviously you could end up with a decent bag of fish. If not, you may well struggle to catch anything at all. Perhaps the better time to target grayling (unless you know the river very well) would be between October and January, when they are spread out and less delicate. So far we have taken grayling to just over 2lbs up here. We are certain that much bigger fish reside in these rivers. In fact I have seen a fish that looked to be nearer 3 than 2 in the gin clear water and I was only a couple of feet away as it swam past me! The added benefits of fishing in this area are the views. Simply stunning scenery, whichever direction you look in. Accommodation is also cheap in the winter months. We often book a cottage for around £200 between four of us. Now that’s good value for money, especially when you see the very high standards of the accommodation available. Of course there is one thing that you just can’t plan for and that is the weather. If it rains heavy enough in the Welsh hills, these rivers will rise very quickly indeed. They also colour up and that doesn’t make for good grayling fishing. 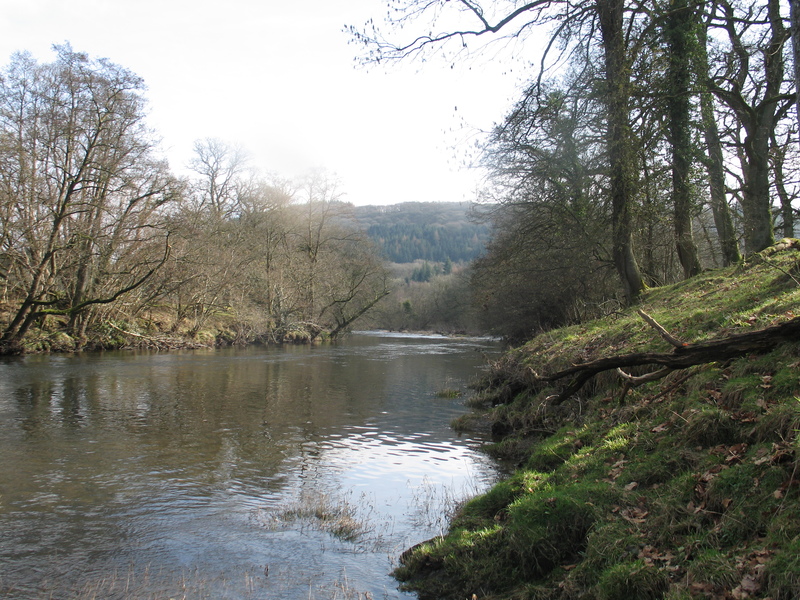 The rivers do drop fairly quickly though, so providing you’re not getting heavy rain on a daily basis, fishing should still be good after a day or two of dropping. Lastly, bait. Well the obvious one that works exceptionally well is maggots. Red ones in particular work well. Loose feeding is important to keep the fish interested. A small bait dropper is useful to get some bait down on the bottom in the fast flows generally encountered on these types of rivers. Sweetcorn often scores well if the maggots are not producing the goods. Just a single grain lightly hooked on a 16does the job nicely. I have taken some good fish on bread, both flake and punched. Worms work well if the fishery rules allow. Lastly pomegranate seeds are worth a look. They are small, fleshy red seeds. However they are soft and can come off fairly easily, but definitely worth a go. Hi Pete, thanks for looking in and for the nice comments. What rivers will you be targeting Pete? There are one or two Scottish rivers that hold some truly huge grayling. I think as a fly fisherman, trotting offers an exploratory, active method of fishing and therefore a similar type of experience. I don’t really fly fish much these days and even when I did it was only an occasional thing, more of a dabble. I could easily get back into though. I hope you enjoy the experience, it really is a nice way to catch fish and enjoy a day on the river. Don’t be afraid to chop and change floats to familiarize yourself with their different attributes. Good luck and I’d love to hear how you get on.